I incorrectly assumed AirPlay from my iPad Pro wouldn't work the way I wanted it to. 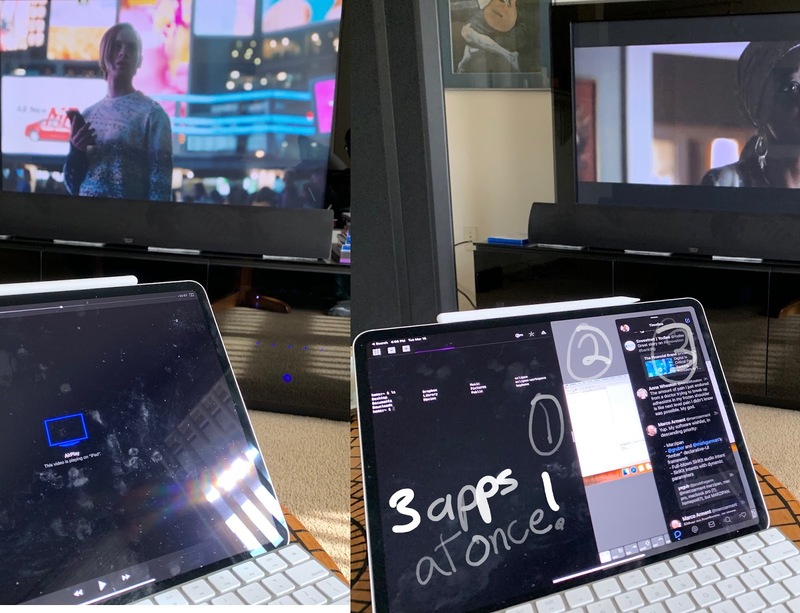 Plugging an external display into and iPad Pro doesn't work the way I want: only the left-most split screen app is able to route the external display. I assumed that AirPlay would have a similar problem, but AirPlay to an AppleTV works EXACTLY like I would expect it to. No seriously, it's awesome. 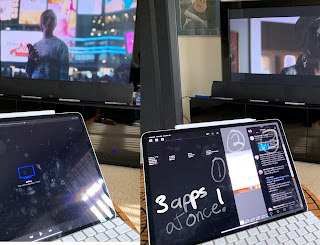 After loading my movies and TV shows into the iOS TV app using an app called WALTR, I can AirPlay from that app to an AppleTV and then just switch away from the app and not worry about it. So while that show is playing, I can still run two apps split screen as well as the flyover app. Awesome. I also tried successfully with the YouTube app to make sure there wasn't any proprietary Apple stuff happening, and YouTube worked just as well. I can also use the Control Center widget to control the external app. I tried a similar thing with the iPhone, and I'm very happy to report it also works exactly as I want it to. I can start streaming the iOS TV app to the AppleTV and then just switch away and do other stuff on my phone no problem.